Bethesda Softworks has officially updated its review policy to state that review copies of its games will only be sent out a single day ahead of their respective releases. Bethesda Softworks, publisher of big-name titles such as Fallout and The Elder Scrolls, has officially updated its game review policy to state that from now on, review copies will only be sent out a single day ahead of release. It stated Doom as a catalyst of this change in policy. "Earlier this year we released Doom. We sent review copies to arrive the day before launch, which led to speculation about the quality of the game. Since then Doom has emerged as a critical and commercial hit, and is now one of the highest-rated shooters of the past few years," wrote Bethesda Global Content Lead Gary Steinman. "With the upcoming launches of Skyrim Special Edition and Dishonored 2, we will continue our policy of sending media review copies one day before release." There's a lot to say about this. The idea of review embargoes initially appeared as a way to ensure all reviewers had an equal opportunity to play and experience the game for an extended period of time. It stopped people from rushing through the game in order to get a review up "first". 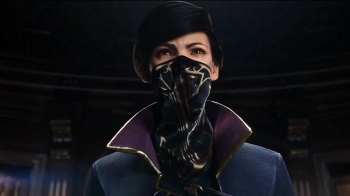 Electing to only send copies out a single day ahead of launch brings the rush back into reviewing, and for a game such as Dishonored 2, which has multiple play-through options, it can really hurt the quality of the review. In short, if you plan on buying a Bethesda game in the future, it may be best to wait one or two weeks for the proper reviews to come out, and if you're wondering why our Dishonored 2 or Skyrim: Special Edition reviews are slow, this is the reason.